A lot of people have written and reflected upon the tragic day that occurred 10 years ago. It affected everyone in some way, and while have have memories good and bad seered into my memory of what happend, I thought instead I’d share a resource for children that I like to use. 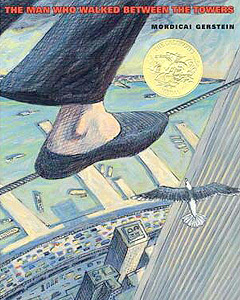 It’sa Caldecott winning picture book called The Man Who Walked Between The Towers by Mordecai Gerstein. It’s a gorgeously illustrated book and tells of a joyous ture story of a man who walked on a tightrope between the towers just shortly before they were completed. It’s a great story as it is unrelated to the events other than the words on the penultimate page, “Now the towers are gone.” The children I taught that day in ’01 are now seniors in high school, and the children I teach today were born post 9/11. Yet, the questions from the children remain the same and unanswered. I just hope they keep asking questions. Inquiry is just the beginning. A month prior to the horrific event, I visited NYC for the first time, and as a tourist, it was on my agenda. 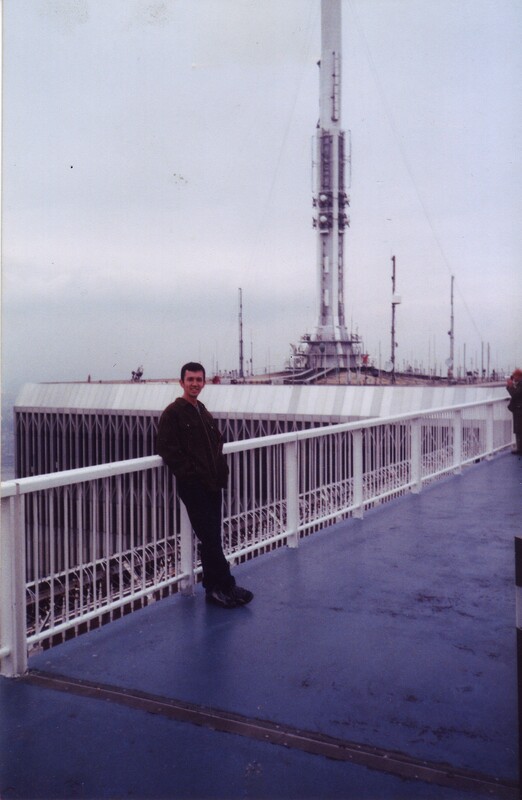 Below is my fond memory of the WTC. Below that is a youtube video that was made of the book. Enjoy. That line is from one of my favorite books, The Tale of Despereaux: Being the Story of a Mouse, A Princess, Some Soup, and a Spool of Thread by Kate Di Camillo. It may be my all time favorite, for each time I read it, it gets better. I’m almost done reading it aloud to my class and have treasured every moment so far. It is undoubtedly a rich piece of literature. A tapestry of beautiful language, structure, and themes. That quote alone could launch a great social/emotional learning lesson. 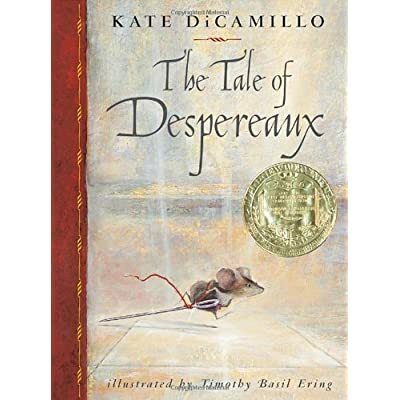 Despereaux has some very dark moments, but unlike Harry Potter, which I saw this past weekend and thoroughly enjoyed, the darkness of Despereaux is easier to handle with children because its characters include mice and rats. While still frightening, it doesn’t have the intensity that the later Potter books contain. And in a movie, that intensity is amplified, but the sound, special effects, and cinematography. In a book, the intensity is created by the author, but the reader or listener can make many more choices as to how they choose to view those things. Despereaux won the Newberry Award in 2004 and no book has grabbed me that same way until the last two winners. 2010’s When You Reach Me by Rebecca Stead and Neil Gaiman’s The Graveyard Book. Unfortunately, both unsuitable for 2nd graders. They turned Despereaux into a cartoon in ’08 and, in my humble opinion, butchered it. Stick to the book. Like the name of one of its characters, Chiaroscuro, The Tale of Despereaux is full of darkness and light, and if not my very favorite, certainly in my top ten. Children learn so much about people not being good or bad, but sophisticated and complex. They learn that sometimes its the choices that characters make, not their souls that have added to their darkness or light. With this book, children are able to develop empathy, even for the book’s villain – and that takes a good story teller.